Rosacea is a chronic condition characterized by facial redness and sometimes pimples, generally between the age of 30 to 50 years. Rosacea, in most of the cases, begins with redness on the face including areas such as forehead, nose & cheeks. 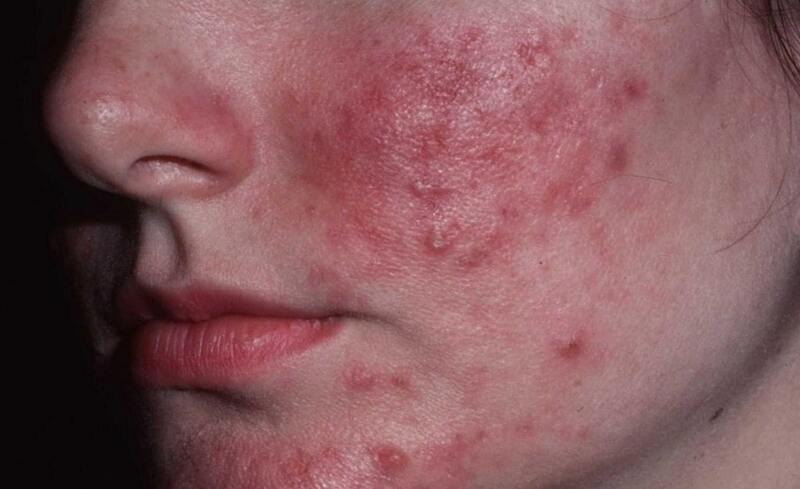 Other symptoms of Rosacea can be red colored bumps on face, redness in eyes and inflammation etc. Therefore, treatment options differ for each patient depending on their condition and particular problems caused by Rosacea. Causes: The reasons for this skin condition are unknown though it is uncommon in pigmented skin. It is advised to visit your dermatologist as soon as you see any symptoms for we can prevent it from spreading or becoming severe if detected at an early stage. Patient usually gives history of episodic reddening of face (flushing) with increased skin temperature in response to heat stimulus, hot or spicy food, alcohol consumption or sun exposure. It can also be triggered by emotional stress and excessive sweating. Severe cases may have nose, eyes, ear and chin involvement. Skinology recommends that you keep a record in your diary to understand the root cause which aggravates the condition. Treatment: Skinology uses various dermatological techniques to relieve you from Rosacea at our clinic in West Delhi – Rajouri Garden. There are different treatments for different skin types and different types of Rosacea. Rosacea Treatment include Oral and topical anti-inflammatory, anti-bacterials retinoids, Pulse dye laser or Intense Pulse light therapies are being done at Skinology depending on the specific requirements of your skin condition. All these treatment methods are safe with no side-effects. Eliminating or avoiding triggering factors and using the right sun protection measures go a long way.